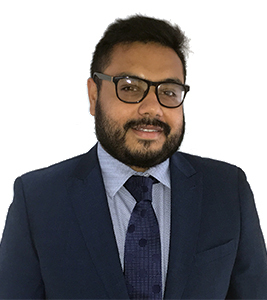 Imran brings many years’ business experience to the ShenSmith Barristers team. He has studied history, religion and Arabic in Cairo (Egypt) and the University of Manchester where he was enriched in many cultures and experiences, enabling him to understand his clients’ needs and their perspective. Working in recruitment has enabled him to learn about client relations and derive a passion for finding the right person to meet his clients’ individual needs. Imran is enthused for his clients and works extensively to find exactly what they seek. It is important for Imran to provide a client service which lives up to his standards; this includes the barristers who work exhaustively to provide the services which clients seek. Imran still owns an award-winning and successful business in the catering industry, which requires empathy and attention to detail—he now brings this experience and expertise to enhance the ShenSmith model of legal services delivery. Imran is a calm and a levelheaded individual who is driven and self-motivated. He enjoys reading, travelling and hiking.